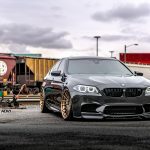 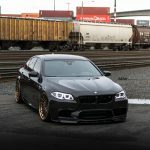 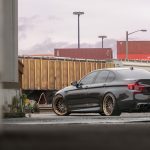 Even if it is not a frequent subject for worldwide tuners, the gorgeous F10 BMW M5 does pop-up on the internet wearing exquisite body styling and impressive power kits under the hood. 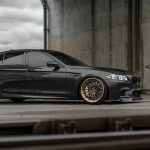 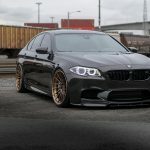 The latest to wear a new package which sets it apart from the stock model is the gorgeous F10 M5 seen below in the media gallery with the one-off Black Sapphire Metallic exterior, a Vorsteiner aero kit and the cool wheels from ADV.1 Wheels tuning company. 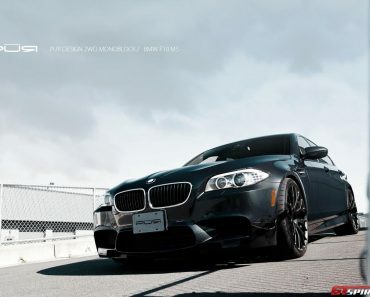 The model is standing out from the crowd with the Vorsteiner package at the exterior, meaning carbon fiber components. 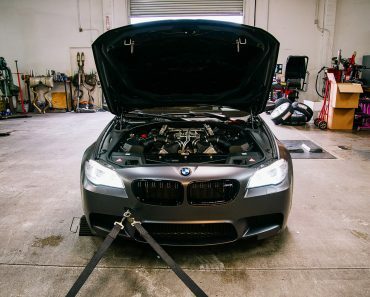 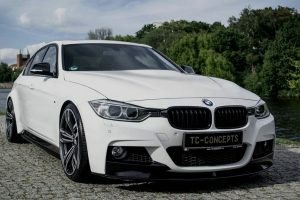 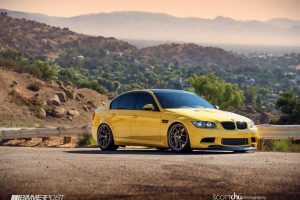 We are looking here at a front add-on spoiler, blacked out kidney grilles – which is a common thing amongst M5s – adding as well carbon fiber spoiler on the trunk, carbon fiber diffuser with bespoke exhaust system, and a few more, all of them perfectly balancing the car`s exterior wrap. 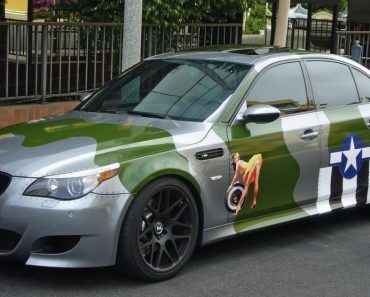 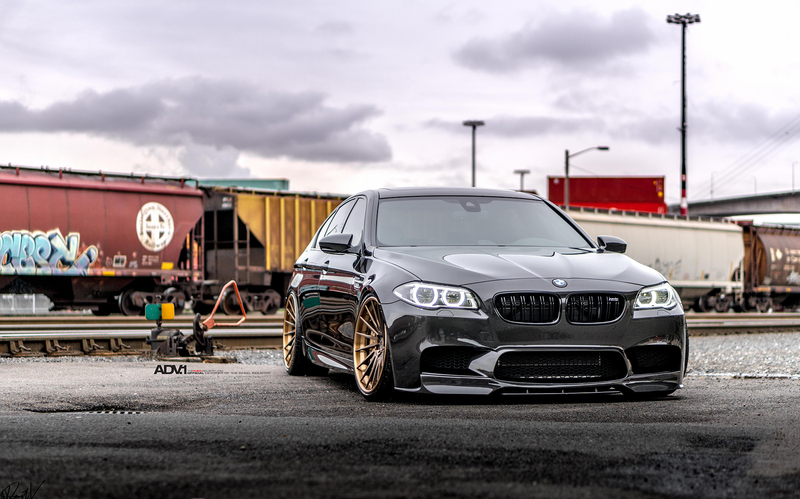 The goody of this customized F10 BMW M5 is the new wheels. 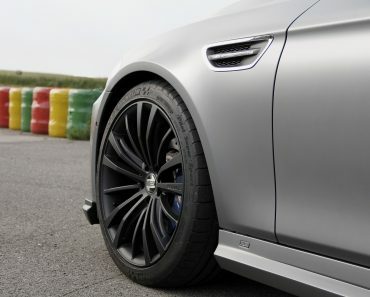 We are dealing here with the ADV15R Track Spec CS Directional wheels, which increase the car`s aggressive look. 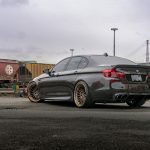 They are sized 21×9.5 and 21×11 front and rear and finished in a gorgeous Matte Bronze for the wheel and in Gloss Brushed Manbronze for the lip. 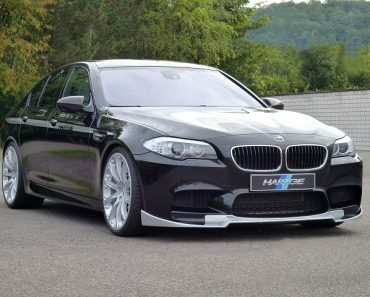 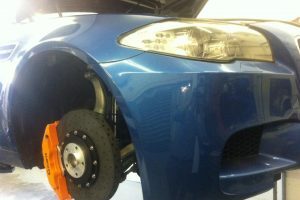 The wheels alone cost around 8,000 euros. 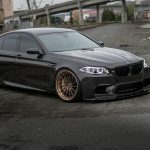 The engine department, the F10 BM M5 remains stock, packing a 4.4-liter V8 turbo petrol engine with 560 horsepower and impressive 680 Nm of torque, which is enough to deliver a sprint from 0 to 100 km/h in just 4.2 seconds, at a topping of 250 km/h. 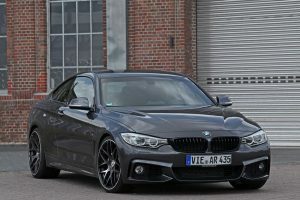 The limited speed can be upgraded to 300 km/h. 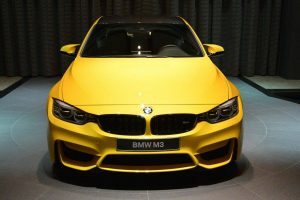 You can find out more in the media gallery below!